The Electronic Permission Form allows parents to authorize their scouts to attend an upcoming event from your website. Your unit can now choose to absorb the PayPal fee for on-line payments, rather than having the deposit reduced by the amount of the fee. Parents may now transfer money between their family's accounts. New features are now available for Personal Subaccounts. 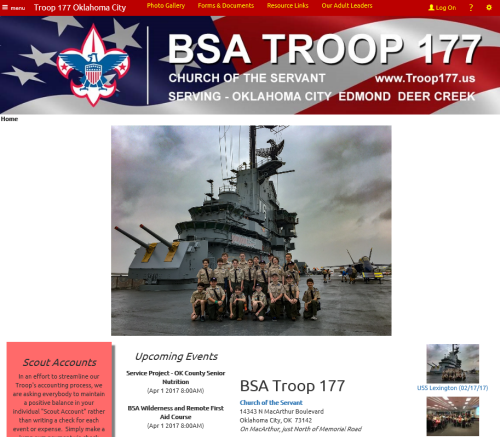 Troop 177 of Oklahoma City, Oklahoma! 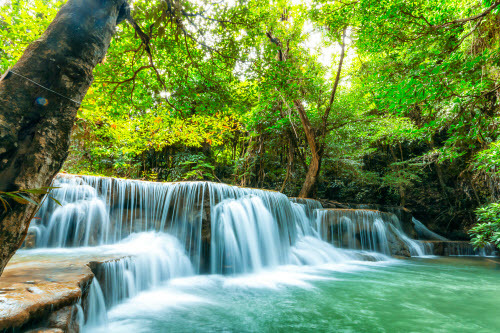 Big "wow!" factor when the site opens. Check out Information For New Scouts, a tremendous resource for boys just getting started. And lots of great photos!